Home / Blog / eCommerce / How Does eCommerce Logistics Work? How Does eCommerce Logistics Work? Managing Logistics is the greatest challenge for any eCommerce company especially in a country like India with a vast territory. 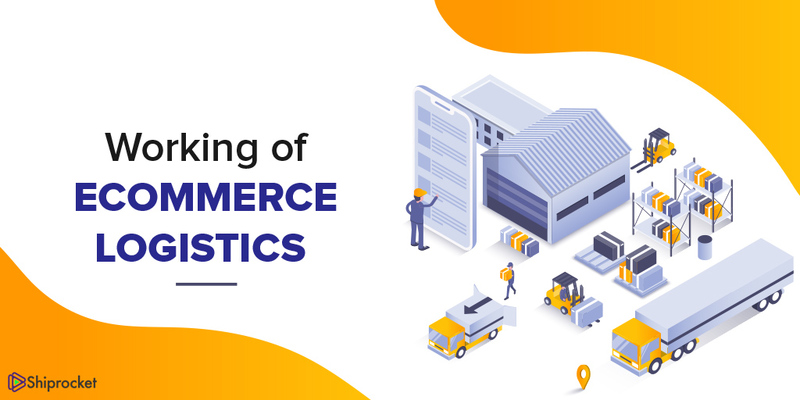 With the advancements in eCommerce, even the logistics industry is witnessing innovation and implementing technological support to cater to such high demands. And now it is possible for online buyers to track their consignment from the date of dispatch from the factory or warehouse till its’ delivery at the consignee’s address. The task of delivering shipments becomes even more strenuous during weather disturbances such as rainy season or when extensive areas get flooded and many bridges are damaged. Before the advent of the eCommerce industry, retailers sourced goods either from manufacturers or distributors. And now that we have a plethora of online shopping stores, the intermediaries cease to exist, leading to deals directly done between the supplier and end-user: C&F (clearing and forwarding agents), distributors, dealers, and retailers have no role in this direct selling process. With these intermediaries removed, eCommerce shipping has become an essential part of the supply chain management and emerged as a highly specialized service with the majority of them being managed by eCommerce companies themselves. Logistics is a congregation of various processes such as inventory management, warehousing, packaging, labeling, billing, shipping, payment collection, return, and exchange. All these put together turn into an exigent task, that requires a full-proof strategy to be accomplished. Apart with these, logistics also requires thorough knowledge about territories, roads and road conditions, regulations regarding the movement of goods, and transport laws. The principal purpose of creating a logistics unit is much to deliver parcels much faster, safer, and more accurately. Forward Direction – Distribution and delivery of goods to buyers. 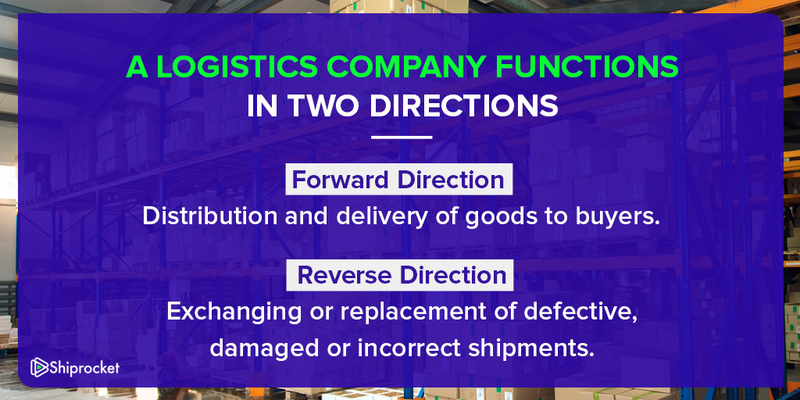 Reverse Direction – Exchanging or replacement of defective, damaged or wrong shipments. Both these processes become easy if logistics is managed and controlled by an eCommerce company. From the time of dispatch until delivery of a consignment, it is the responsibility of the seller to notify the exact location of a shipment to its respective consignee through tracking SMS or email notifications. Payment collection is essential for any eCommerce business owner, analogous to a retailer. An online retail company should have multiple payment options for better customer experience such as debit/ credit cards, bank transfers, and COD (cash on delivery). In a country like India where buyers are more comfortable with dealing in physical money, COD option is of utmost significance. In spite of the best efforts the possibilities of incorrect or damaged shipments cannot be ruled out. In such situations an efficient reverse logistics is essential. It is the responsibility of logistics to take back these defective or damaged materials and replace them with proper order that satisfies the customer within a reasonable time. A hassle-free exchange or replacement process goes a long way in building trust between the buyer and an eCommerce company. For any logistics or online retail company-customer relationship is critical. This relationship is established by delivery boys who are the face of an eCommerce company to buyers. Delivery boys must always be well behaved and patient with customers. Attention must be paid to complaints with assurances of rectifying them soon. It is advisable to have delivery boys with a cheerful disposition.